I made a little stop at these falls along my adventurous drive to Bird Creek Meadow. A very minimal bridge crossed this creek, and just after the bridge was the first tiny turnout on my route. It turns out that this unmarked creek was none other than Bird Creek, which maybe seems intuitive, but the number of rivers and creeks flowing from Mt. Adams is quite numerous, so I wasn't making any assumptions. Especially since I drove maybe 3 or 4 miles past this creek to the trail head. The area around the small falls and turnout was surprisingly inviting, given the ruggedness of the drive thus far, and it seemed to me like a marvelous spot for a picnic table. Lots of inviting flat rocks around though, so I'm imaging this as a nice little rest stop the next time I venture up to Mt. Adams. Well...after a pretty long break, I'm back posting, at least for a little while. I have to say I've enjoyed the time off, and as much as I want to be out with my camera again this is a hard time of year for my photography. The sun rises so early and sets so late, and when it's up, the light is so harsh. But over the weekend, Bill and I got up super early to head to Mt. Adams country. He was participating in a bike tour there, so I dropped him off and headed up to Bird Creek Meadow, which I read was a beautiful wildflower hike near Mt. Adams. It was beautiful, but as it turns out I didn't have quite enough time for it. I had to drive only 11 miles up a gravel then dirt road to get to the trail head, but the road was in such poor condition that it took me an hour to drive that stretch. Then I hiked for another hour and a half, which got me to the point where I took this photo. Lovely, lovely, overwhelming number of wildflowers the whole way, but I don't think I quite made it to the large meadow before I had to turn back. And even though we got up at 4am for this trip, by the time I got to this almost meadow section of the hike it was 11am and way too bright for photography! I'd like to try this hike again, but logistically I need to figure out how to make it work. 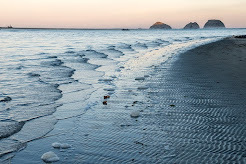 In the meantime, I've got a few more photos to share in the coming days. I often hear the weather forecast mention isolated thunderstorms, but don't see them that much. Especially not in such a dramatic setting as the descent to the Snake River separating Lewiston, Idaho and Clarkston, Washington. The river is also considered the southern border for the Palouse grain-growing region. Bright blue skies and puffy white cumulus clouds in every direction but the Snake River canyon. 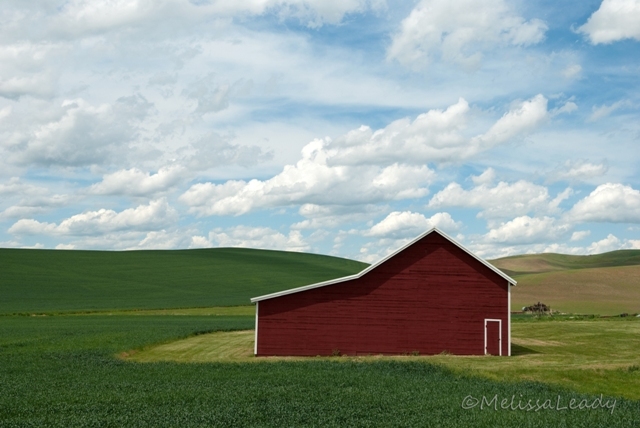 Continuing my Palouse series with a cheery crayola scene... 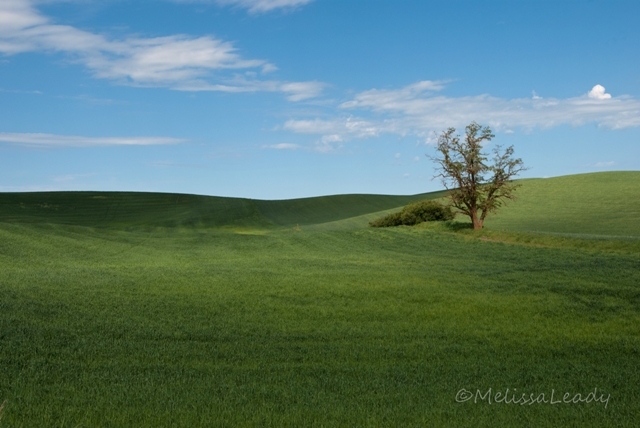 Visiting the Palouse, I got a sense of the region right away, but conveying that sense in a photograph has been tricky for me. I think it helps to have a subject in the frame; it still shows the vastness of the terrain, and in fact maybe even more than with just open field and sky. And as for subject, I always love a red barn! 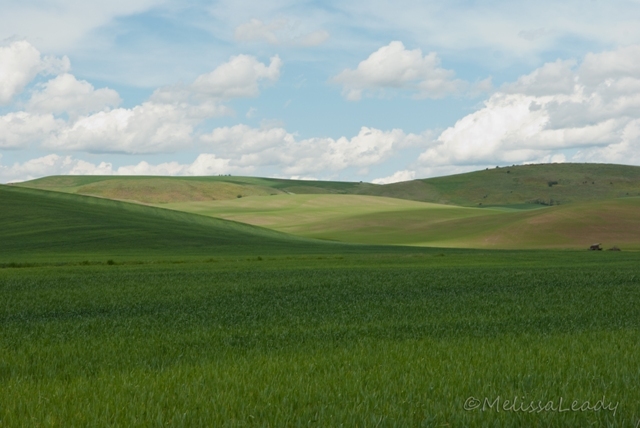 I visited the Palouse last spring during a college-shopping trip; that was my first chance to photograph this grain and lentil-growing region. 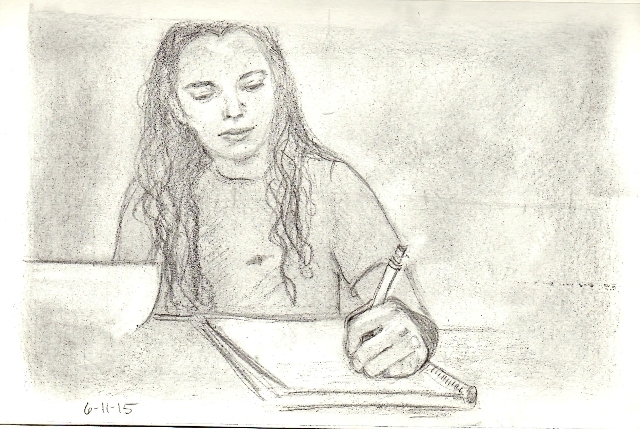 Then I tended to photograph in a more abstract way, which I have a habit of doing. This year I decided to try to get a better landscape view and in fact I never changed my 17-55mm lens the entire time I was there, which is really rare for me because I love my zoom lens. I struggled with the larger view though. Over the course of the day I decided that a higher vantage point looking down was better, but I don't entirely object to a flatter view like the one photographed here. There was certainly no shortage of rolling hills, shades of green, and puffy clouds for me to practice on! 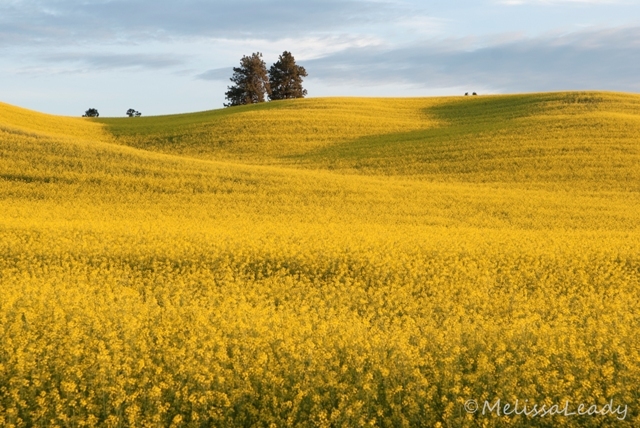 I've just returned from a beautiful weekend in the Palouse, and I have a series of photos to share from this grain-growing region in Eastern Washington and Western Idaho. Saturday was warm and sunny, and puffy white clouds increased throughout the day, culminating in a dramatic isolated thunderstorm over the Snake River. I decided to show my favorites in order, so the clouds will grow with each photo. I stayed in Moscow, Idaho, home of the University of Idaho and in my opinion the cultural mecca of the Palouse, so my sightseeing starts in Idaho on a sunny morning under minimal cloud cover. And in spite of the low cloud cover, the morning weather included a lot of moving cloud shadows, which show in this photo: a dark shadow in the background and growing shadow in the foreground, with the cute little tree in the bright sun. 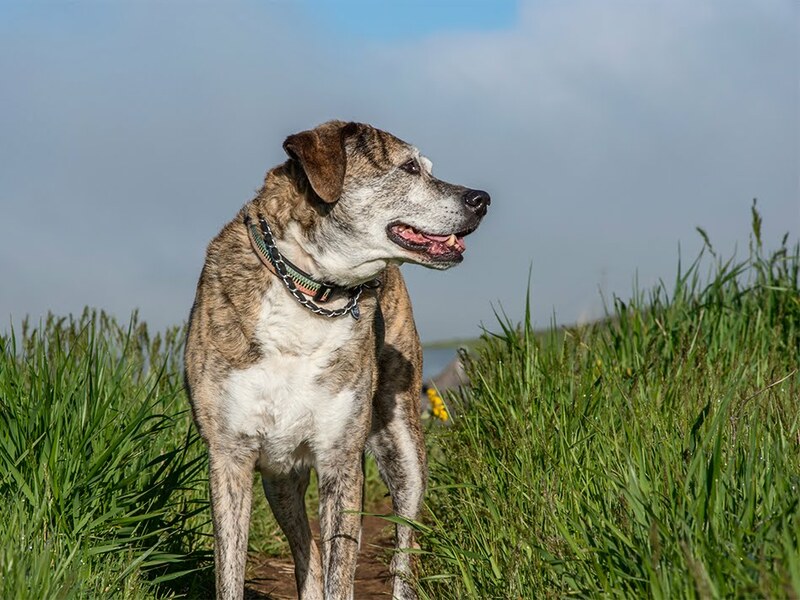 Be prepared for a sunny, cheery week of photos!